Total number of Chabad shluchim is 4,325, in about 3,500 Chabad Houses and other Jewish institutions. 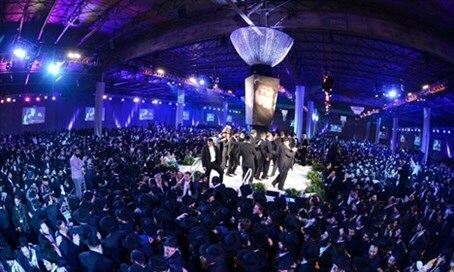 The annual global conference of Chabad emissaries, or shluchim, will begin at week's end in New York City. About 3,500 shluchim are expected to take part, and to discuss matters at the center of Jewish life worldwide. Ahead of the conference, the World Headquarters for Chabad shluchim has provided some numbers regarding this ever-growing unique mechanism, which was put in motion by the late Lubavicher Rebbe, in order to provide warm corners of hospitality for Jews all over the globe. The total number of Chabad shluchim worldwide is currently at 4,325, and they operate in 86 countries, in about 3,500 Chabad Houses and other Jewish institutions. In the US and Canada alone, there are 960 active Chabad centers. Chabad also operates more Jewish congregations than any other body in North America, and their number is rising. The Chabad network has spread to new countries, and as of this year includes Angola, Ghana, the Virgin Islands and Jamaica. In Israel, there are no less than 332 Chabad Houses, operated by some 600 shluchim. According to Rabbi Moshe Kotlersky, Chairman of the Worldwide Shluchim Conference, "Chabad currently spearheads the development of Jewish life worldwide, through continuous activity with children, youths and adults. In many places, Chabad shluchim are the sole Jewish voice in their region, and this makes them ambassadors of Judaism in the face of the recent awakening of anti-Semitism and hostility to Israel. "Chabad shluchim see importance in instilling Jewish pride, along with the providing of information to students and the general Jewish public, to strengthen their ability to withstand the attacks against them."